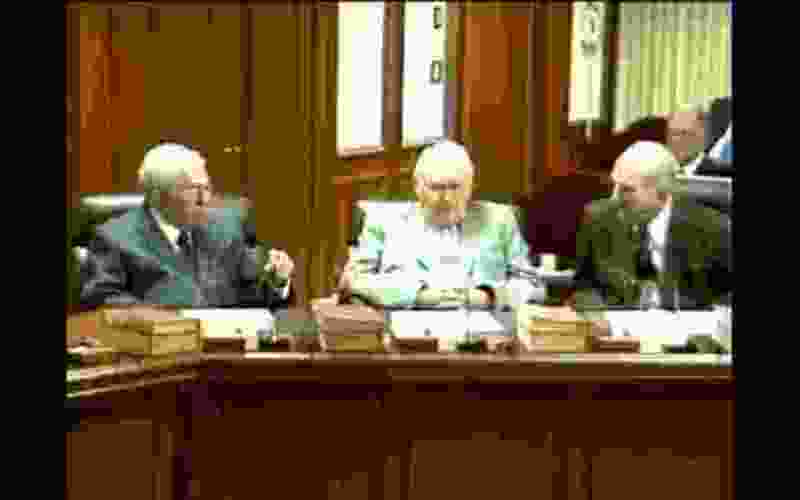 (Courtesy photo) A screen shot from a leaked video shows then-apostles Boyd K. Packer, left, L. Tom Perry and Russell M. Nelson discussing science and morality. You probably read about a woman who secretly recorded an interview with her former Missionary Training Center president regarding alleged sexual misconduct he committed. Or maybe you heard that Mormon general authorities are paid more than $120,000 a year in salary. Perhaps you wonder about the LDS Church’s vast wealth. You swear you’ve seen that it has at least $32 billion in stock holdings. So how did MormonLeaks get its start? What is its goal? Which leaks have been the biggest? And how does it navigate often-tricky ethical waters? We put those questions and more to the forces behind the website, Executive Director Ryan McKnight and technical director Ethan Dodge.